Of Service Which ‘Select House Cleaners’ Introduce Their Database Of Cleaners. 1.3 The term “Select House Cleaners” or ‘SHC’ are interchangeable terms referring to the same entity, namely, Select House Cleaners. The term “Cleaner” means a cleaner from the database of cleaners maintained by Select House Cleaners. 2.1 Select House Cleaners reserves the right to amend the terms and conditions of this Agreement, and shall inform the Householder of such changes by posting them to the Website, and/or sending or otherwise providing them to the Householder, not less than thirty (30) days before implementation of such changes. 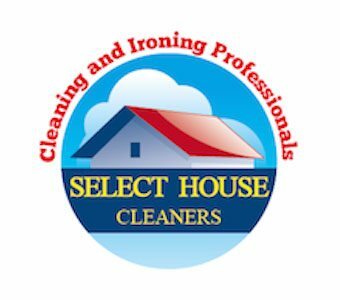 3.1 Select House Cleaners shall introduce a Cleaner to the Householder subject to the terms and conditions of this Agreement, to provide the hours of work specified on our Book a Cleaner page as may be varied from time to time by prior agreement between the Householder and the Cleaner and insurance subject to the Householder’s compliance with the minimum Management Fee specified by Select House Cleaners from time to time. Note that changes to the number of hours shall affect payment to Select House Cleaners. 3.2 The Householder shall pay Select House Cleaners the Management Fee for the introduction of pre-screened Cleaners and ongoing support and insurance cover for the duration of the Agreement. 3.3 This Agreement will be for a minimum initial term of 3 months (13 weeks) from the date of signature (not payment of the standing order) and shall continue thereafter on a rolling 13 week term until cancelled in writing by the Householder to Select House Cleaners. For the avoidance of doubt and dispute, the cancellation will come into effect from the date requested by the Householder (providing the remainder of these terms are adhered to) if the Householder receives an email or posted acknowledgement from SHC that confirms the safe, written receipt of said cancellation. Written cancellation can be forwarded via email to: selecthousecleaners@icloud.com or via Royal Mail to our Office (details at 11.3). In the case of any dispute regarding if or when SHC was notified of said cancellation, it is incumbent on the Householder to supply SHC with sight of the original acknowledgement email sent from ourselves to the customer upon receipt of said cancellation or a letter from SHC, which should have the relevant dates imprinted on them. 4.1 Select House Cleaners, in order to keep our costs to a minimum, accept payments for the 2, 3, 6 or 12 month terms by Standing order only, however all such Standing Order’s Are post dated 7 days in advance of the signing date to allow time for the Householder to meet the Cleaner and change said Cleaner if there is a request to do so by either party – Householder or Cleaner. Standing Order payments shall continue until the Agreement is terminated by the Householder in accordance with Clause 9 or cancelled under Clause 10. 4.2 The payment of the Management Fee for the initial term is payable on signature of the Agreement. However, Select House Cleaners shall postdate the standing order mandate by 7 days to allow processing by the Householder’s bank. Cash payments are not accepted. 4.3 Householders can agree as many hours as they wish directly with their Select Cleaner, there will be no further Management Fee payable for the duration of the agreed term, be that 2, 3, 6 or 12 months, no matter how many hours are required, subject to a minimum requirement of 2 hours weekly or fortnightly and 3 hours minimum for One Off Cleans. 4.4 Where the payment by the Householder of the Management Fee or any other sum payable under this Agreement is not received by Select House Cleaners by the due date, if said Agreement has not been cancelled, Select House Cleaners reserves the right to charge the Householder interest at the prevailing Bank of England Base Rate plus 2% for each day that the total amount outstanding or any part of it remains unpaid. 4.5 The failure to pay any Management Fee payment for more than one month shall constitute a serious breach for the purposes of Clause 9.3 and Select House Cleaners shall accordingly be able to terminate this Agreement without prejudice to its right to charge interest on the overdue amount and/or to recover the outstanding amounts and its reasonable costs incurred in so doing. 5.1 The Cleaner is introduced to the Householder as a self-employed cleaner and the Householder shall retain the Cleaner under a “Contract for Services”, which for the avoidance of doubt shall be a separate contractual arrangement between the Householder and the Cleaner only. The Householder shall agree directly with the Cleaner the terms of that contract. 5.2 The Householder shall agree with the Cleaner directly what services are to be performed by the Cleaner, and such services shall form the basis of the Cleaner’s obligations under the Contract for Services to be entered into. The Householder may change the scope and manner of the services contracted for under the terms of the Contract for Services at any time by reaching mutual agreement with the Cleaner. 5.3 The Householder shall pay any Cleaner retained by the Householder at the rate agreed in the Contract for Services and such fees shall be paid directly to the Cleaner in accordance with that agreement. 6.1 Select House Cleaners shall introduce a Cleaner to the Householder in accordance with Clause 3.1. 6.2.2 issue the Householder with a credit for any period that the Householder is without a Cleaner following the Householder’s notification of the same, save to the extent that by agreement with the Householder the replacement Cleaner provides additional services to compensate the Householder for services not received by the Householder during the period when there was no Cleaner retained. In such circumstances, the Agreement shall continue unaffected and all of the terms shall continue to apply. 6.3 In the event that a suitable replacement Cleaner cannot be found and introduced to the Householder, then termination under Clauses 9.1 and/or 9.2 may apply. 6.4 In performing its obligations under this Agreement Select House Cleaners shall use its reasonable care and skill. 7.1 In respect of each Cleaner introduced by Select House Cleaners and retained by the Householder, Select House Cleaners shall provide Public Liability insurance. 7.2 The limit of the cover of the Public Liability insurance is no less than a minimum of £2,000,000. Neither Select House Cleaners nor its insurers shall be liable for the first £100 of any claim nor for any claim of £100 or less in value. However, where Clause 8.2 applies, Select House Cleaners may also be liable for the first £100 of any claim. 7.4.3 where the terms of this Agreement are otherwise breached. 7.5 No claims for bleach damage shall be accepted. 8.1.4 collusion or theft of property or possessions by a retained Cleaner. 8.2.2 for death or personal injury caused by its negligence. 8.3 Nothing in this Agreement shall affect the statutory rights of the Householder as a consumer. 9.1 Select House Cleaners may terminate the Agreement at any time by giving a one full month written notice prior to the expiry of the Term in writing to the Householder. 9.2 The Householder may terminate the Agreement to take effect at any time by giving a full month written notice prior to the expiry of the Term in writing to Select House Cleaners. The Householder shall remain liable to make such payment to Select House Cleaners. Where less than one full month’s notice is given in writing to the end of whatever term has been agreed, the Householder agrees to pay the Management Fee for a 4 week period. 9.3 Notwithstanding Clause 9.1, where the Householder has committed a serious breach of the terms of the Agreement, Select House Cleaners is entitled to terminate the Agreement immediately on written notice to the Householder, and, where applicable, Select House Cleaners shall take further action in connection with the said serious breach. Clauses 9.5 – 9.7 shall continue to apply. 9.4 Notwithstanding Clause 9.2, where Select House Cleaners has committed a serious breach of the terms of the Agreement, the Householder is entitled to terminate the Agreement immediately on written notice to Select House Cleaners. In such circumstances, the balance of the Management Fee for the remainder of the term shall be refunded to the Householder. In these circumstances, the remainder of this Clause 9 shall not apply to the Householder. 9.5 For a period of twelve months following termination of the Agreement for any reason, the Householder shall not engage, directly or indirectly, as an employee, contractor, agent or otherwise any Cleaner who has been introduced by Select House Cleaners to the Household. If the Householder does so engage a Cleaner in contravention of this Clause, then Select House Cleaners shall institute proceedings against the Householder to recover damages and costs. 9.6 Where the Householder cancels the standing order mandate without giving notice to Select House Cleaners in writing, Select House Cleaners reserves the right to charge the Householder for any reasonable expenses incurred in respect of that cancellation in addition to any outstanding fee that remains due and payable plus interest. 9.7 It is the responsibility of the Householder to ensure that the standing order mandate paying the Management Fee to Select House Cleaners is cancelled by the Householder’s bank upon termination of the Agreement. Payments received after the Agreement has terminated shall incur an administration charge of up to £25 by Select House Cleaners in returning any such payments. 10.1 IMPORTANT NOTICE: Please refer to the Notice of the Right to Cancel which forms part of this Agreement. The following provisions of this Clause are in addition to, and shall not affect, the statutory rights of the Householder as a consumer. 10.2 Under The Consumer Contracts (Information, Cancellation and Additional Charges) Regulations 2013 the Householder has a right to cancel the contract within 14 days starting after the date the contract is entered into. The Householder may but is not obliged to give the cancellation in accordance with the attached Notice of the Right to Cancel. Select House Cleaners shall not be obliged to provide the services until the expiry of the 14 day cancellation period. If the Householder has requested in writing that Select House Cleaners provide services prior to the expiry of the 14 day cancellation period Select House Cleaners shall be entitled to charge (or deduct from any Management Fee payment) a sum of £50 or any advance Management Fee set out in the contract (whichever is the greater) and the Householder shall lose their right to cancel within 14 days. 10.3 The provisions of Clauses 9.5 to 9.7 shall apply on cancellation of the Agreement under this Clause. 10.4 The provisions of Clause 10.2 shall not apply if the Householder terminates the Agreement in response to a serious breach by Select House Cleaners. 11.1 Unless expressly stated otherwise, all representations, rights and obligations entered into by persons named as the Householder overleaf, if more than one, are given or entered into jointly and severally by each of those persons. Accordingly Select House Cleaners may take action against any one or more of such persons and may release or compromise the liability of any one or more of such persons without affecting the liability of the other(s). 11.2 If any provision of this Agreement shall be found to be void, invalid or unenforceable, whether by a court of law, agreement of the parties or otherwise, the remainder of this Agreement shall remain in full force and effect notwithstanding any such invalidity, illegality or unenforceability but the provision in question shall be deleted. 11.3 Any notice under this Agreement shall be in writing and (with the exception of the Notice of the Right to Cancel) shall be effective upon receipt, which will be confirmed in writing by Select House Cleaners. Notice shall be given by personal service or by first class prepaid mail or by e-mail and shall be addressed to Select House Cleaners or to the Householder, as appropriate, at one of the addresses stated overleaf. Either party may, by written notice to the other, change the address to which notices to it may be sent. 11.4 Select House Cleaners will upon written request from a Householder endeavour to provide cleaners who have been police checked subject to availability of such police checked cleaners in an area reasonably close to the Householder. 11.5 Select House Cleaners reserves the right to cancel, amend, withdraw or change any promotion, special offer or other marketing offer howsoever made without any prior notice or approval to or from the Householder. 11.3 The SHC Registered Office is: Select House Cleaners Limited, The Regus Business Centre, Maingate, Kingsway North, Team Valley, Gateshead, NE11 0NQ. Loyalty Reward: As long as no breach of this agreement occurs by the Householder, or termination takes place, the Householder will enjoy the benefit of there being no increase to their Standing Order amount which pays the Management Fee – once signed – only the cleaner’s fee will be subject to change. This promotion is unique to Select House Cleaners and is not available elsewhere. *Police Checked Cleaners Upon Request. All changes to these Terms and Conditions will appear on this site, therefore it is worthwhile checking periodically to ascertain if any such changes have been made which may affect the terms under which we introduce our database of Select Cleaners. Select House Cleaners Cleaning, supplying Domestic, House, Home Cleaning and Ironing to Sunderland, Gateshead, Durham, Chester le Street, Seaham, Hartlepool, Houghton le Spring, Peterlee, Washington, South Shields, Consett, Crawcrook, Lanchester, Shotley Bridge, Dunston, Rowlands Gill, Ryton, Blaydon, Sedgefield, Stanley, Yarm, Stockton on Tees, Middlesbrough, Whickham, Wingate, Winlaton.